Purchase a set of Wine ID and a Wine Bag and receive the coordinating card at no charge. Purchase the 'Hues' and receive $5.00 off the coordinating 'Shades' set. 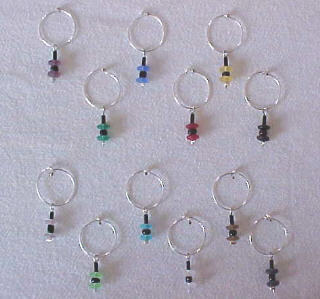 Shades include 1 each of the following colors: Lavendar, Lt. Green, Aqua, Crystal, Lt. Khaki, Gray.